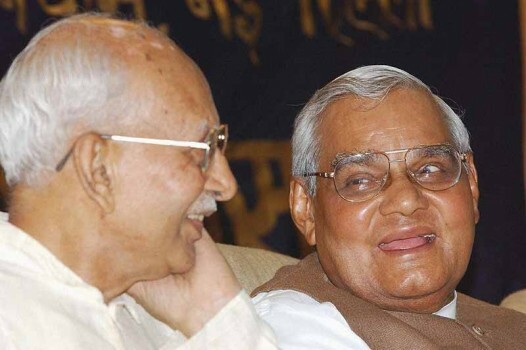 File photo of former RSS chief KS Sudarshan (left) with BJP veteran Atal Behari Vajpayee in New Delhi in 2003. 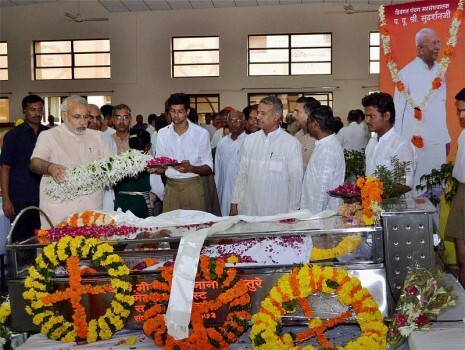 Gujarat CM Narendra Modi paying his last respects to the mortal remains of former RSS chief K S Sudarshan during his funeral in Nagpur. 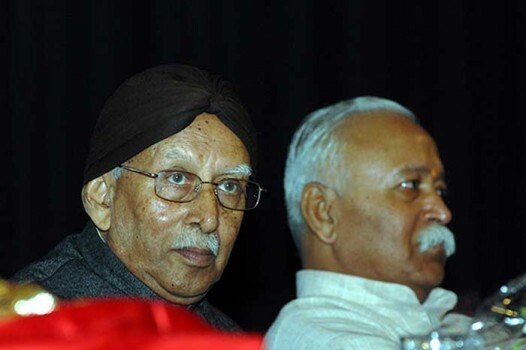 File photo of former RSS chief KS Sudarshan with RSS chief Mohan Bhagwat at a function in New Delhi in March 2009. 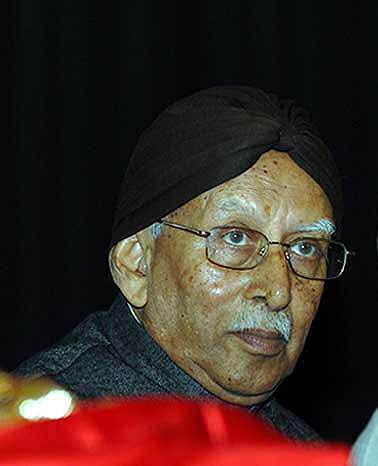 Sudarshan died of heart attack in Raipur in Chhattisgarh. 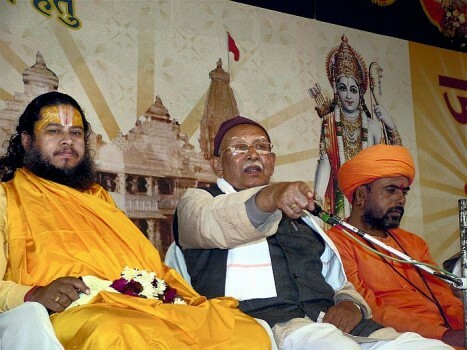 File photo of former RSS chief KS Sudarshan with senior BJP leader LK Advani at a function in Nagpur in July 2003. 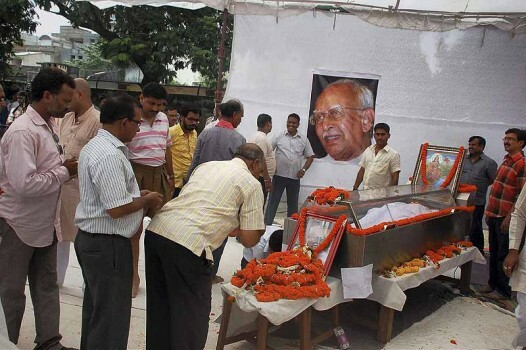 People paying their last respect to former RSS chief K S Sudarshan in Raipur. Sudarshan died after suffering a heart attack. 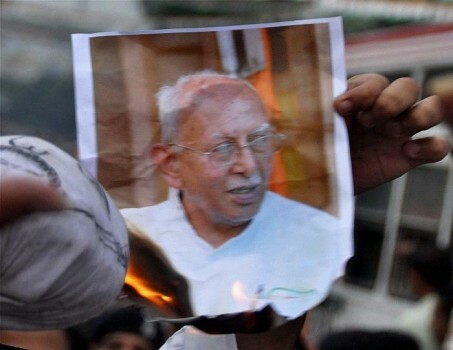 File photo of former RSS chief K S Sudarshan who died of heart attack in Raipur in Chhattisgarh. 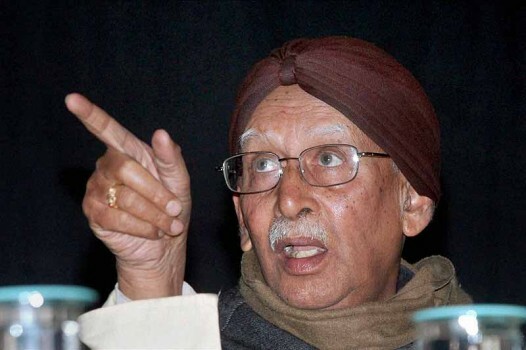 Former RSS chief K S Sudarshan speaks during the Vishal Hindu Sammelan in Agra on Sunday. 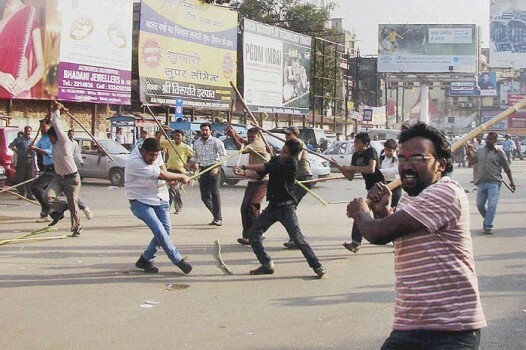 RSS and Congress activists clash at Albert Ekka Chowk following a protest demonstration in Ranchi. In his only interview till date this year, the media-shunning RSS-chief spoke on a wide range of issues in the context of the Atal-Advani leadership row and the VHP's raised pitch on the mandir issue. "Any Government Will Have To Accept Our Thinking"
"The BJP Can't Speak The RSS Language"
From taking help of the "tainted" to putting "contentious" issues on the backburner to grab the reins of power, the BJP has the blessings of its parent organisation, the RSS. 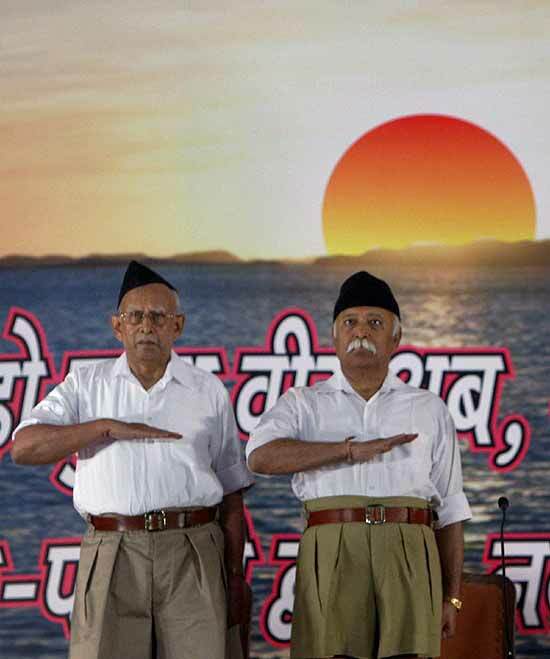 The RSS now wants the BJP to form the government—everything else can wait. The controversial interview given by the Sarsanghchalak of the Rashtriya Swayamsevak Sangh, Kuppahalli Sitaramayya Sudarshan, to Shekhar Gupta, Editor-in-Chief of The Indian Express, on NDTV 24X7's Walk the Talk.